Journeyman bodybuilder Arthur Peacock didn't let his age (or a heart attack) stop him. 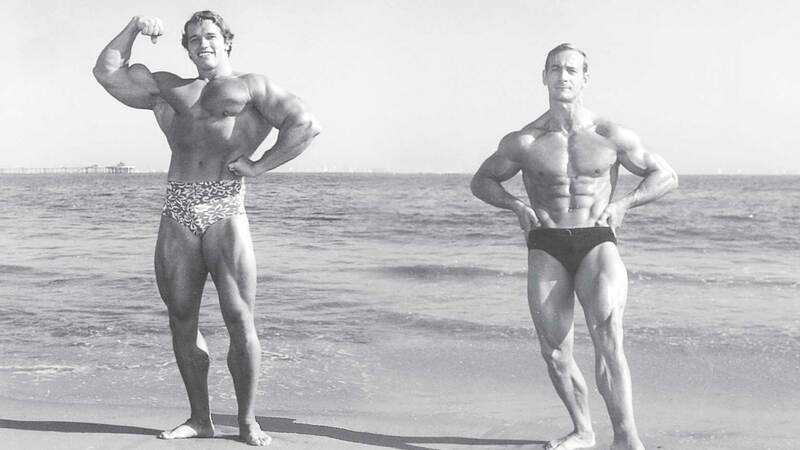 Arthur Peacock entered his first bodybuilding contest in 1965, and in 2015 he won what will be his last. At 80 years of age, Peacock recently won the NPC Masters National Bodybuilding Championship Over-70 category and placed fourth in the Over-60 light-heavyweight category. Even more astounding than his win at an age when most are content to watch clouds roll by, Peacock managed his twin feats just weeks after major heart surgery. Over the course of his 50-year competitive career, Peacock took the stage in more than 100 shows, winning 57 titles. He can also claim to have trained in Venice, CA, alongside Arnold Schwarzenegger and Franco Columbu, back when they were competing. But now, after winning a national title and earning a coveted IFBB pro card, Peacock feels he can finally enjoy some hard-earned rest and settle into competitive retirement. A half century ago, though, Peacock was an original member of Joe Gold’s epony- mous gym when it opened in 1965. “I have an original tank top,” he says, recalling the days when bodybuilding was still a hobby for him. Four years later, however, he began to take the sport more seriously, and in doing so won the first competition he entered. Two years later, Peacock competed in the Masters National Championships for the first time, where he finished in the runner-up spot behind the legendary Ken Waller. According to Peacock, it was his lack of a U.S. citizenship as much as any individual competitor that stood between him and a title. Because he wasn’t a citizen he was unable to go pro. “I couldn’t go any higher because I wasn’t a naturalized American,” Peacock says. “When I became a U.S. citizen in 1995 and was able to enter the competition circuit again, I won the Masters Mr. America contest three times and Mr. California five times,” Peacock adds. He went on to win titles in the ’60s, ’70s, ’80s, and ’90s. In spite of all the success he experienced as a younger man, Peacock’s proudest moment came from taking home the title at the Masters this past year, a victory that he believes defines his career. “After competing for 50 years, winning this title is just the ultimate,” Peacock says. After all these years, Art Peacock is a pro. “Now I’m an IFBB professional, which means I can’t do any more amateur shows,” Peacock says, with a healthy dose of pride. His days of donning posing trunks may now be at an end, but Peacock’s passion for bodybuilding has never been stronger. Much like his old friend Arnold famously said at the end of the film Pumping Iron, he’s only stopping competing, but he’s not stopping bodybuilding.